Grand Valley State University was established in 1960, right in the midst of the civil rights movement. At the time of opening, GVSU was predominantly white, and it wasn’t until the end of the civil rights movement that African Americans were truly integrated into the GVSU community. Years later, diversity is not only celebrated at GVSU, but is also a major priority. To celebrate the diversity of the GVSU community, as well as recognize the history and bravery behind it, the GVSU African American Alumni Chapter is partnering with the Division of Inclusion and Equity to sponsor an event called “Paving the Way for Future Generations: Stories of African Americans Who Were Firsts at Grand Valley.” The event is taking place on Wednesday, Oct. 24 at 5:45 p.m. at the Alumni House Perry Dining Room. “The evening is designed to give students an opportunity to learn more about Grand Valley’s history and the role that African Americans played in helping lay the foundation of diversity at our university,” said Chris Barbee, Director of Alumni Relations. The event will include a panel of Grand Valley African American Pioneers who will share their stories and backgrounds. The main idea is to provide GVSU students, faculty and staff with the opportunity to learn more about the courageous men and women who helped shape the university into what it is today. The panel will include Danny Poole, ’71, first African American Scholarship Athlete; James Moore, ’67, first African American male student; Curt Jones, first African American male professor; Julianne Vander Wyngaard, first African American female professor; and Cheryl Franks, who is representing her father, Dr. Julius Franks, founding member of Grand Valley State College. Each of these individuals represents a pivotal moment in GVSU history. 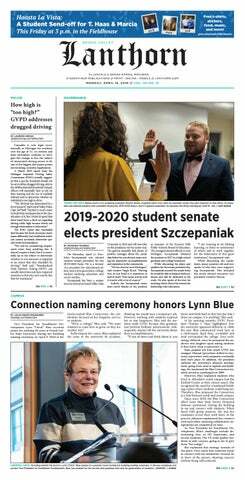 “If these students, community leaders and educators didn’t take the steps to move forward when they did, Grand Valley wouldn’t be the university it is today,” Barbee said. The event is an opportunity for students to develop a better understanding of GVSU history as well as pay their respects to those who made GVSU what it is today. Dinner and networking will take place between 5:45 and 6:30 p.m., followed by the discussion panel. The event is also LIB 100/201 approved.